ISTiOSELIDA - Sailing ONLY: Your face of the race - only a few hours left! Your face of the race - only a few hours left! The 40 years photo competition will close today at 1700 CEST. We've been blown away by the many amazing images we've received over the past week but there are still a few hours left to find your favourite race photo and become part of our 40 Years gallery and exhibition in the official Volvo Ocean Race Museum. 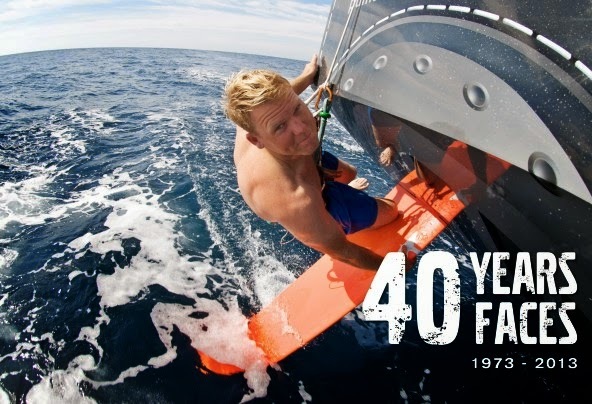 This year marks the 40th anniversary of the Volvo Ocean Race and we want to celebrate it with you! To illustrate the history of an event that began life on September 8, 1973 as the Whitbread Round the World Race, we’ve put together 39 of our favourite “race face” pictures for a special exhibition and we would love the 40th photo to come from YOU. After 40 years together, we are sure many of you have photos from Race Villages around the world, with sailors, on boats or on the dock. The theme of our 40 years, 40 stories competition is people: sailors, families, friends, crowds, and YOU. So if you have a picture that says something about the passion, the pride, the commitment of the people who have made this race great, we'd love to hear from you. And...! If our picture desk gets excited enough about the image, it might be chosen for our 40 years exhibition in the official Volvo Ocean Race Museum. Email your image to: competition@volvooceanrace.com by Wednesday 29 May at 17:00 CEST. All entries must be labelled with the entrant’s name and the image must be 7 inches (17 cm) at the longest point and 2000 x 300 dpi. Please have in mind that you must be the creator and copyright owner of any works submitted and you must also be able to confirm the necessary permission from people who may appear in the photo. Only one image per email address will be accepted. Fans will have one week to vote for their favourite image on the website and through Facebook from the date of publication of the candidate photos. A printed canvas of the winning image or an agreed Volvo Ocean Race image.